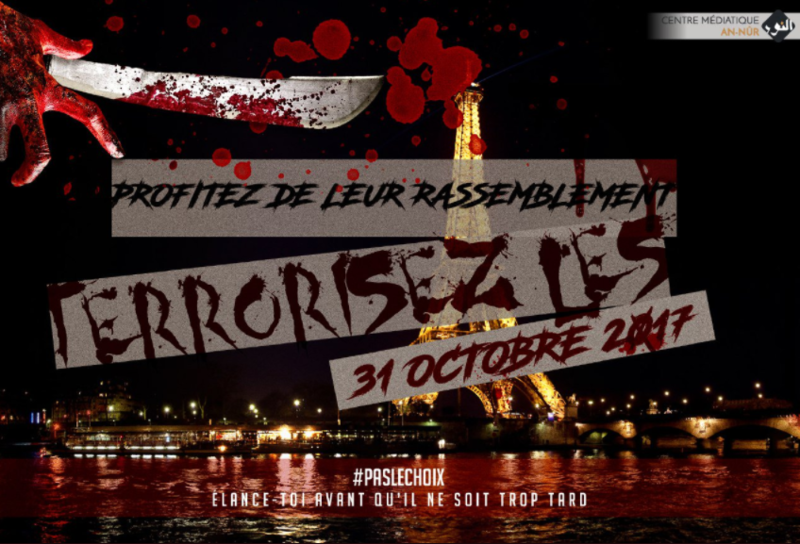 A pro-ISIS media group circulated an image today of a knife dripping blood over the Eiffel Tower, calling on lone jihadists to attack on Halloween. It was produced by Centre Médiatique An-Nûr, which has produced in French not only videos about jihadist operations but about how online jihadis can practice web security. The group also distributes ISIS’ Rumiyah magazine, which has not yet been published this month, in French. The image was shared by a Twitter account that distributes caliphate news, images and videos in French.